One of the Continental Op's most bizarre cases as he is faced with Miss Gabrielle Dain Leggett who has an unfortunate effect on the people around her: they die violently. 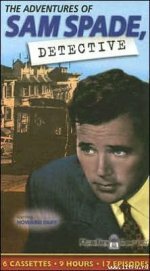 FROM THE PUBLISHER The Continental Op is a short, squat, and utterly unsentimental tank of a private detective. Miss Gabrielle Dain Leggett is young, wealthy, and a devotee of morphine and religious cults. She has an unfortunate effect on the people around her: they have a habit of dying violently. Is Gabrielle the victim of a family curse? Or is the truth about her weirder and infinitely more dangerous? 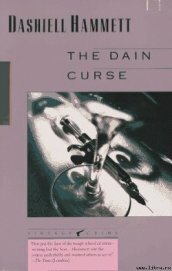 The Dain Curse is one of the Continental Op's most bizarre cases, and a tautly crafted masterpiece of suspense.